There are two approaches to process delivery orders: you can either work on printed documents (and scan lines on the documents), or on a screen (and scan products directly). Print delivery orders of the day by selecting all documents from the To Do list and print Picking Operations from the top menu. 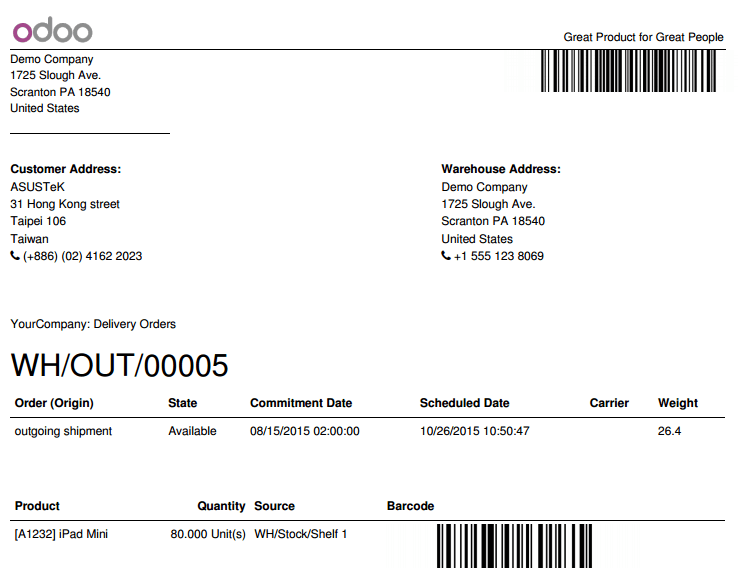 Once you start processing your delivery orders, scan the barcode on the top-right corner of the document to load the right record on the screen. Then, scan the barcode of every product, or scan the barcode of the product on the picking line if the barcode on the product is not easily accessible, visible or is missing. Once you scanned all products, scan the Validate barcode action to finish the operation. Load all the delivery orders marked as To Do, and open the first one. Pick up and scan each listed product. When you've picked all the items, click the Validate button or scan the Validate barcode action to finish the Operation. 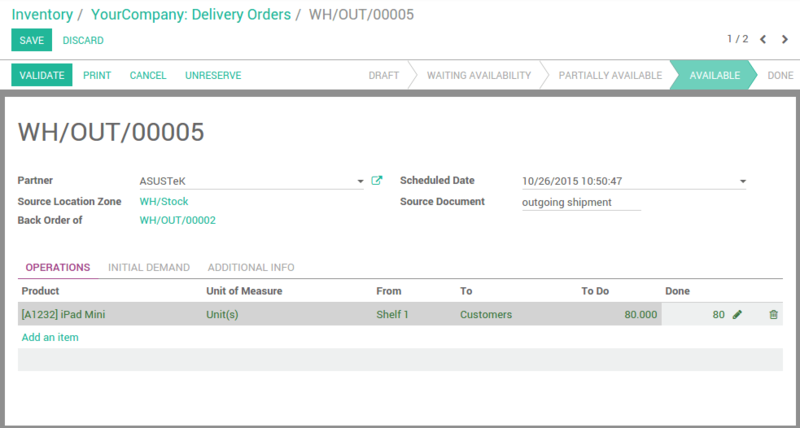 Move to the next delivery order to process by clicking on the top-right right arrow or scanning the Pager-Next barcode action.